Scruffy sent me a fascinating article from The Huff Post this week. It concerned Kim John Payne’s book, Simplicity Parenting and the effect of an endless excess of activities and toys on the mental health of children. Payne noticed a similarity between the children in refugee camps that he worked with as a young man and affluent modern day youngsters he encountered in his private practice. So there you have it, research to back up what my mom told my brother and I so many times growing up. “Just go outside.” Whenever we started to argue or gripe or complain of boredom, she would hurry us out the door for some good old-fashioned unstructured play. I can’t help but smile as I picture the summer camp schedule in my head. There are chapel times, structured games, and meal times of course, but also free time and station time where kids mosey around the camp grounds playing mini golf, archery, and ping pong. 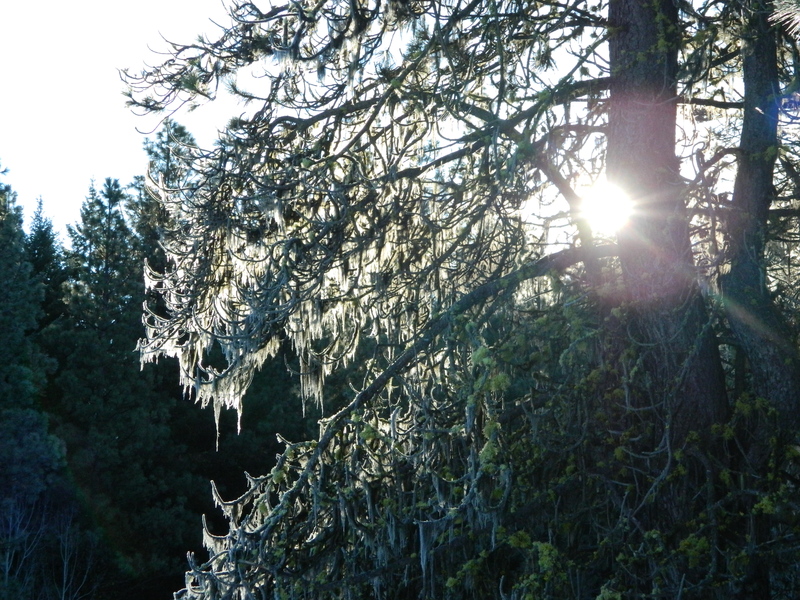 There is the chance to dunk a counselor in the dunk tank or take a turn on the slip-n-slide, but also time to walk through the meadow and look at flowers and bugs, to listen to bird song, and to collect great armfuls of lichen for no apparent reason whatsoever. Camp contains clear times of unstructured play. Simple things, but important nonetheless. Friends, food, and the beauty of the outdoors. These are some of the best things of life. When was the last time you made things simple, went outside, and just enjoyed all the beauties that God has made? Apparently, God designed us to need the simple things in life and of that I am glad. 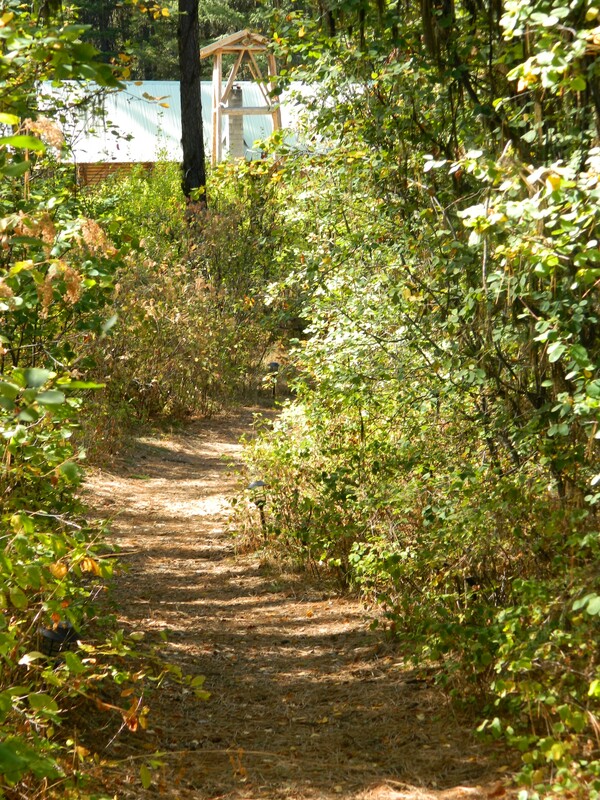 A walk in the woods, a tree fort build out of old plywood, or watching a beetle skitter across the path. I for one, would not want to miss out. I have been looking for something new in the way of toilet paper dispensers for several years now. 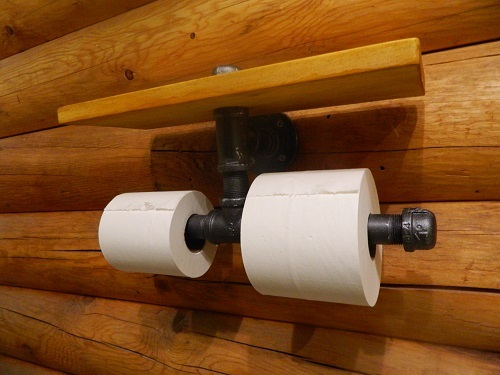 The old TP dispensers were installed in the 80’s back when the lodge was new and have weathered many camps since then. Another set of standard industrial dispensers would have sufficed. But I was hoping for something special, something that was unique to camp. I looked online and on etsy. I searched here and there, but every time I found something I liked, it was fabulously expensive. The search seemed hopeless. Today I am so happy to let you know that Choco made our TP dispenser dreams come true. 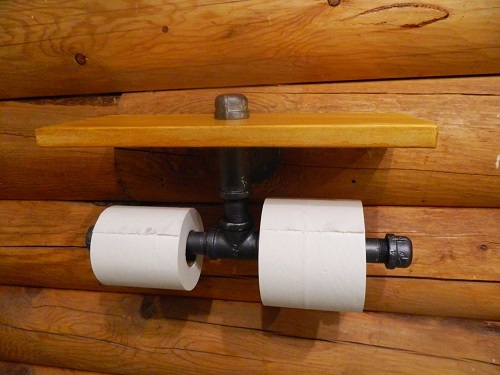 Using his handyman skills, he constructed these beautiful and unique additions to our restrooms. I am proud to present to you, the Fabulous TP dispensers of Camas Meadows! When someone comes to camp as a camper, it is our goal to pour ourselves out for them as a sacrifice and service to our Lord. God is certainly pleased with our small efforts, but His goals are so much more vast and fabulous than what we can imagine. Scruff and I realized this anew as we sat in church the other day, listening to one of our former campers as he preached the sermon. A number of years ago I wrote about a particular week of Sr. High camp that was especially meaningful. One of our conselors, Frodo, was hoping that his little brother could be a camper. The problem, Ryan was confined to a wheelchair. How could they navigate the rough and tumble of camp with Ryan wheelchair bound? For the full story go ahead and click back in time and read HERE. Ryan is in his twenties now. He did indeed come to camp. He also went to college and is mentoring others in the Lord. Occasionally we will see him at church when we visit Mid Valley Baptist in Dryden. Scruffy and I packed up the boys and attended church in Dryden the other day since they had given him the chance to speak about camp. We saw Ryan and his parents in the front pew. They rushed over to exchange hugs and exclaimed, “We didn’t know you would be here this week!” Unbeknownst to us, Ryan was the guest speaker. So there we were, being taught and ministered to by a young man who had been our camper. We sat in rapt attention as Ryan preached, learning from his journey and his study of God’s word. Full circle. You find out pretty quick, as a camp counselor, that the children teach you so much. You come expecting to give and teach and impart some of yourself. You leave realizing how small you are when standing before the vast expanse of God’s glory at work. They teach you, these children. When they are young and later as they grow strong and tall in the Lord. A kid who appeared to require so much assistance from us, was the one who ministered to us, then and now. Sure, the guys lifted his wheelchair over logs and dragged him up that mountainside. But Ryan’s story is just humming with the power of God. Power that we cannot quantify or explain. Power that we must simply stand back and observe, clutching at our hearts and hoping that we will walk away in one piece, or if not in one piece, perhaps in a better arrangement of pieces than what we were before. From something that at first appears to be a stance of weakness, God can bring about the kind of victory that just blasts you off your feet. Our expectations are constantly being shattered by all that God can do. To hear Ryan’s complete sermon click HERE and remember that God walks among us in all His glorious splendor and gentle love. To Him, the miracle is the mundane.